Amanda was really unhappy about the crowding and discoloration of her front teeth. She was so impressed with her friends treatment results that she decided to have treatment at The London Smile Clinic too. 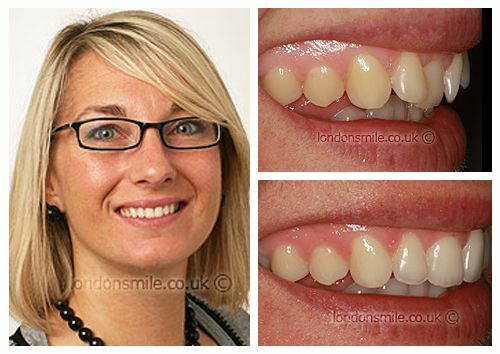 She wore the Inman aligner for 7 weeks to achieve this amazing result! She feels the results are a real confidence boost and now cant stop smiling. My friend had treatment here and I was very impressed with her results. Inman aligner treatment and whitening. Yes it was all very good! I feel more confident and also like looking at my new smile. Everyone was very welcoming friendly and helpful.